Once upon a time, I made some extremely shoestring-budget films with my college buddies. We were, and still are, nerds who like Star Trek and Dungeons and Dragons. With this confluence of influences, many of us actors at one time or another, and the available technology and willingness to make absolute fools of ourselves, we hit on the idea of filming the scripts of one Matt Vancil. The first of these was Demon Hunters, quickly followed by Demon Hunters 2: Dead Camper Lake, and international cult hit The Gamers. I’m not making the international cult hit thing up, either. Copies of the DVD were sold to places like Finland, the UK of GB, the Baltic Republics (I’m looking at you, Lithuania) and many other fancy nations not in North America. All this was back in the days before digital streaming of videos, and we had to actually ship things physically from place to place, employing thousands of people rather than calling on our robot drone army to deliver items door-to-door. After we’d finished filming The Gamers, I graduated from our liberal arts university, and being an ambitious nerd, moved to Chicago to attend graduate school. While I was away from the beautiful Pacific Northwest, my friends incorporated themselves into a film company, Dead Gentlemen Productions. Under this aegis, they produced and filmed The Gamers: Dorkness Rising. For a while, in the early days of live streaming for Netflix, you could find it in their catalog. It was a big deal for the company, and totally raised the profile of our once little group of buddeez. Not only had we entered the age of digital streaming, but my contact with the company changed as I moved to the middle of the continent and pursued my theatrical training and career to obsession. It is, after all, what one is supposed to do in graduate school for theatre. It’s also at this point in the story that I lost track of the day-in, day-out goings on in the ‘company’. Things were changing in my absence, which is not to say that had I been present, they would’ve remained the same. Within 6 months of landing in Tacoma I had indeed landed on my feet and continued my theatrical career. I had booked a school tour with The 5th Avenue Theatre’s Adventure Musical Theatre outreach: “Klondike! The Great Alaskan Gold Rush”, and landed a role in “Once Upon a Time in New Jersey” at The Village Theatre in Issaquah. The ‘walking-distance’ theatre I’d once dreamed of working at closed its doors mid-season in ignominy over mismanagement and profligate spending. And Dead Gentlemen Productions, still alive and kicking despite several key members moving to other states for film school, jobs, and educational opportunities, was indeed about to embark on another project. Which brings me to the point of all this historically-based rambling: the glory that is the Demon Hunters: Brotherhood Orientation Video. Filmed in early 2007, and published in a DVD included with Margaret Weis Productions’ Demon Hunters: Roleplaying Game, it is, in my opinion, the most fully realized vision of the original source material, and captures best the essence of what we were attempting to create with the first two Demon Hunter films. I bring all this up, because the new Dead Gentlemen Productions website has launched! And with it, we have access to this jewel of low-budget, mixed-genre filmmaking. Enjoy! Here’s a trailer for that movie I was in that one time. Check it out! A while ago, Washington, and Seattle were popular places to film. 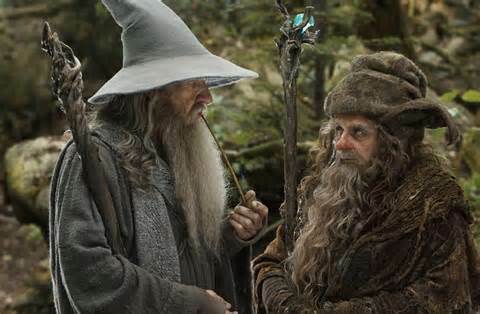 We had movies that put us on the map. “Sleepless in Seattle, ” anyone? But as producing film in Hollywood became more expensive, many US states began to subsidize film production to attract producers to make films away from Los Angeles, for less money. Maximize those profits, capitalists! The era of ‘Runaway Produciton’ began quickly, and has not yet let up. Washington state was not as quick on the draw to subsidize film production, nor as generous as several other states, and was quickly losing out on opportunities to bring film jobs north from California. Enter our hero: Washington Filmworks. Washington State has had a Film Office since the 1970’s, but Washington Filmworks merged with the state film office to create a cyborg of incubation, subsidy, and resource-gathering that has allowed local filmmakers to hone their craft, and the state to attract production, and jobs in the film industry for crew, and (most importantly for me) actors. An important part of Washington Filmworks’ mission is incentivizing film production through the State’s Motion Picture Competitiveness Program. Money for movies. Bad luck? No! Good luck. Especially for me. In 2012 I was cast in a film, partially funded by Washington Filmworks incentives. 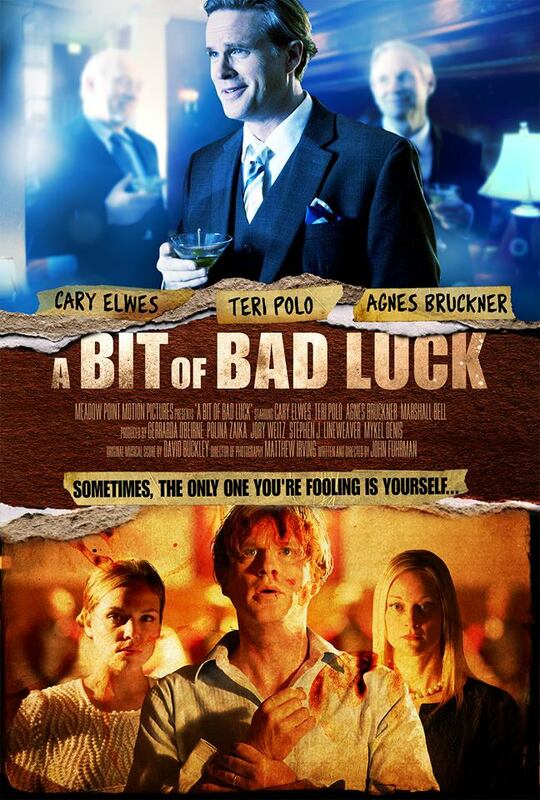 “A Bit of Bad Luck” starring Carey Elwes, Teri Polo, and Agnes Bruckner. If you don’t blink, you can find me in the bar, where the film’s protagonist (Elwes) finds himself befriending the locals of a small town. It was a great gig. I had one line of dialogue, which may have been with my back to the camera, depending on which shot the director and editor decided on. But for me, professional exposure in this film was far less important than my experience on set. I got to spend time on a union film set, and learn my way around, taking that experience with me. I got to meet Carey Elwes, who, aside from being a truly funny guy in front of the camera, was an absolute gentleman and complete professional in the most inspiring sense. I had a really enjoyable time, getting to work with my colleagues from the Seattle acting community in a setting where we often don’t find ourselves. What’s the moral of this post? Three Posts in One Week!!! Like, I totally posted up three blog things in one week! I am a l33t p0stxx0r! OMG! TTYL! Waitaminute. This makes four posts this week. Gaaaa! Four posts in one week!! !